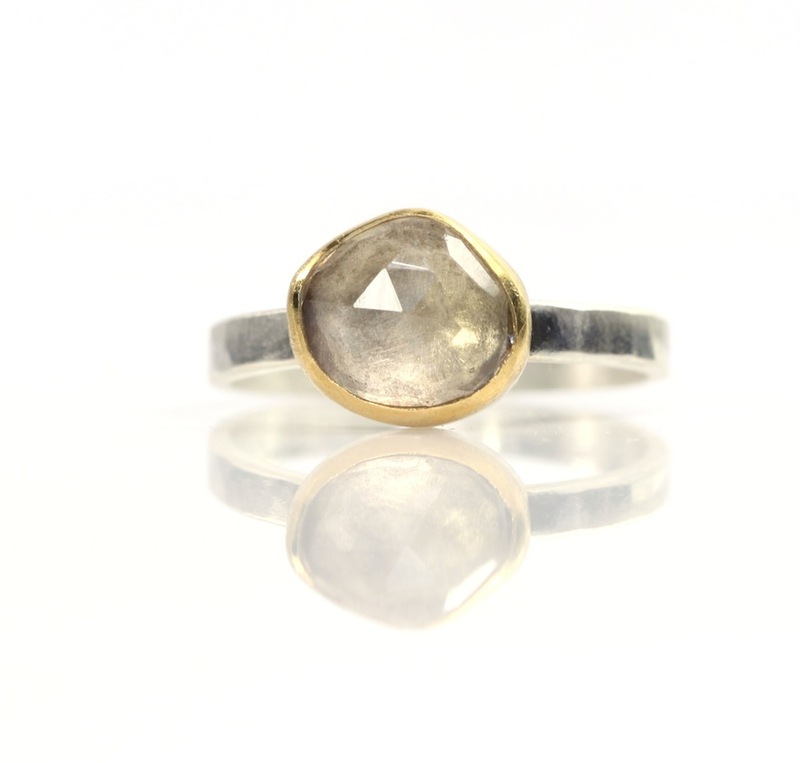 From the “Beautiful Blondes” jewelry collection: Rose cut champagne citrine stacking ring. Looks good by its own fine self, but goes with pratically everything! 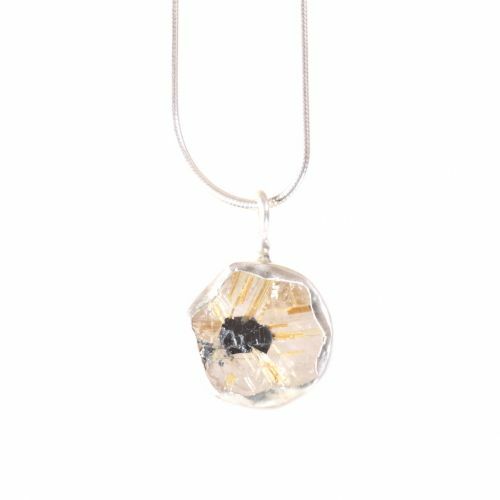 Beautiful, rose cut Champagne citrine, hand set in 22K gold with a sterling silver back and band. Hammered band with a brush finish. 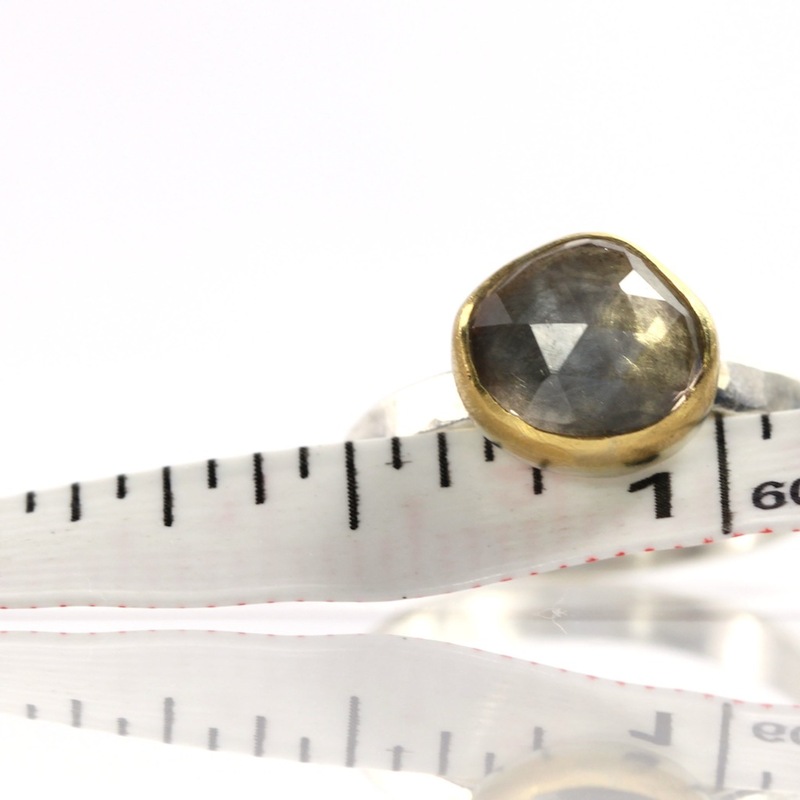 Size 5.25, can be sized up to 5.75. This ring stacks with all the rings in this shop, and probably with rings you already own! 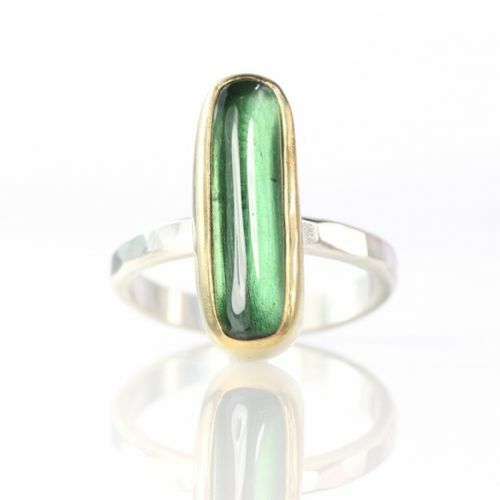 Note: This listing is for ONE ring, the image with the stack is for inspiration. 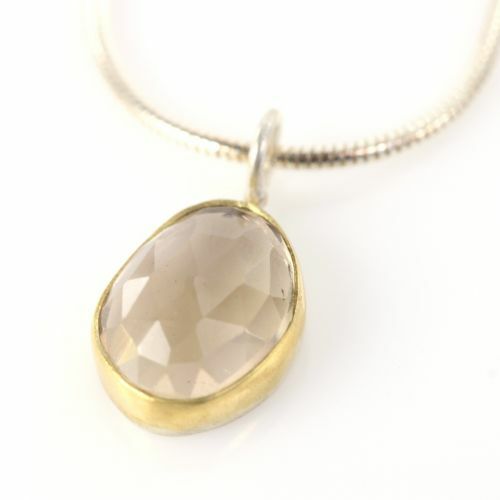 Citrine, often referred to as the “Merchant Stone” (for making the cash register go Ka-ching!) 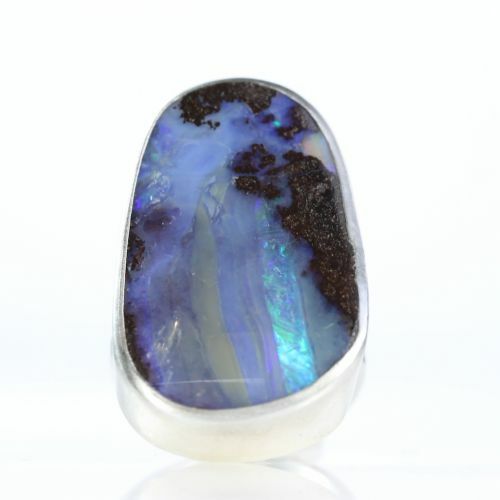 brings the wearer success, wealth, abundance and dispels negative energy. 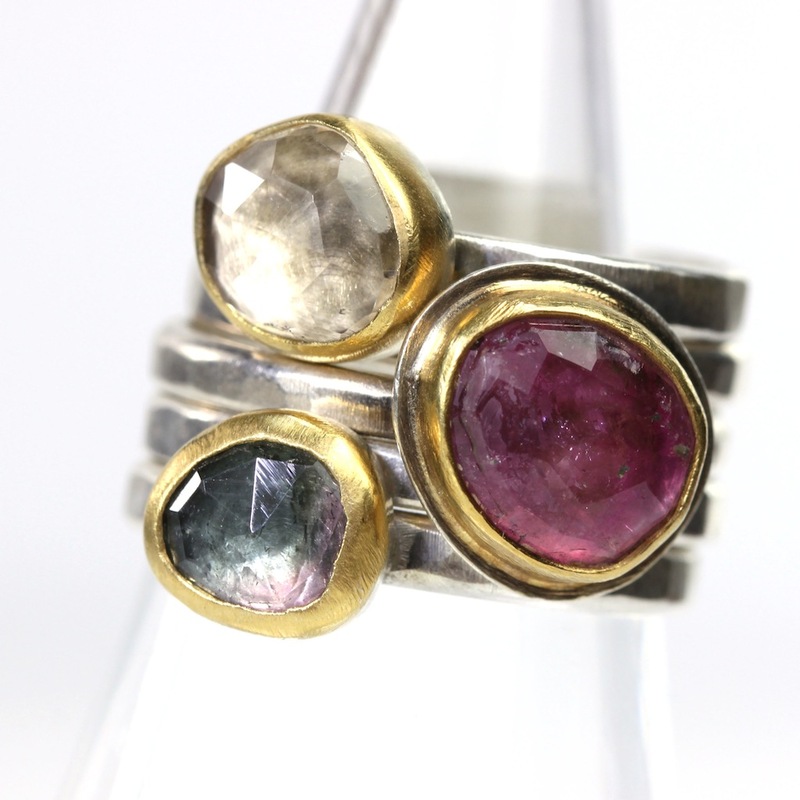 The jewelry in this shop is created by hand with recycled gold and silver, and natural gemstones.